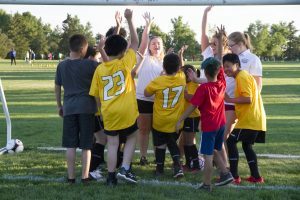 Brams United is proud to offer a unique program designed to provide youth between the ages of 5-15 that experience physical, emotional, social and/or developmental disabilities the opportunity to participate in an organized soccer program. This program is available to both female and male participants. 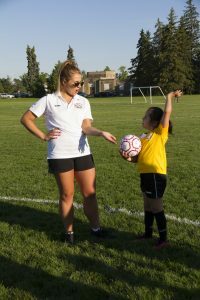 All Abilities is an inclusive program that aims to encourage teamwork, cooperation, friendships and other social experiences. All sessions focus on gross motor skills, and physical literacy development. Activities will include running, jumping, throwing, kicking and balance/coordination. No previous recreational experience is required. We always recommend that a parent or guardian remain at the field . 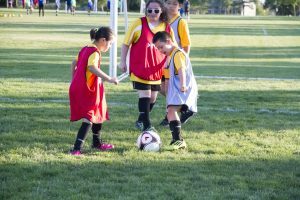 This will assist the players in feeling more comfortable and provide the coaching staff immediate support should a challenge arise.